In the hyperconnected world new questions rise about the evolution of global terrorism. This especially refers to the increasing role of the lone actors in terrorist assaults, a phenomenon particularly relevant within the frame of the Islamic State (2014-2017). The perpetrators update not only the global terrorism dynamics, especially ordinariness, but also the category of enemy, in the social media age, where the internet has cancelled any distinction between public and private space, giving rise to a blurring configuration that calls for the rethinking of the referential frame on which the global terrorism narratives are built. Global terrorism disabled the notion of enemy through many of classical categorical frames of political philosophy are grounded. Since a war is not clearly declared by global perpetrators, they cannot be properly thought of enemies in the classical sense – as adversaries to defeat, in order to protect a nation. Furthermore, ordinariness seems the main trait of global terrorism, at least since 9/11, when middle-class good guys, educated at university, Phd in some cases, turned into death hijackers. All the theoretical efforts to sketch valuable profiles of perpetrators clash against a blurring identity that, on a metaphysical ground, deals strictly with the loss of personal identity. An intimate impoverishment that belongs to the lack of sensing provided by a voluntary detach from the world-of-life (the Husserlian Lebenswelt, on a phenomenological perspective). As this premise is given, after the rise and the fall of the Islamic State (2014-2017) new questions concerning the evolution of global terrorism are under the spotlights. In my paper I argue that international jihadism is a typical onlife phenomenon (Floridi, 2015), suspended between the real world and the cyber environment, amidst reality and virtuality. 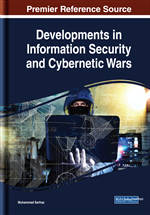 A valuable insight to focus on it is provided by the lone terrorists whose attacks have increased their frequency (Security Studies Program National Security Critical Issue Task Force, 2015). I’ll take in consideration the evolution of this peculiar category of terrorists through three episodes: the Boston Marathon’s bombing (15th April, 2013), the Woolwich killing (23rd May, 2013) and the Nice truck attack (14th July, 2016). Differently from Al-Qaeda traditional strategy of random attacks causing mass murders, these assaults bring to light self-made perpetrators (the brothers Tamerlan and Dzokhar Tsarnaev in Boston; Michael Adebolajo and Michael Adebowale in Woolwich, Mohamed Lahouaijei-Bouhlel in Nice), more than organized groups of terrorists. What I’m going on to discuss in the following paragraphs is whether the definition of loners really fits to these actors or, by contrast, their attacks only update a more common script of global terrorism. My aim is to explore how terrorism, in taking its strategies to a new stage, is going to change the concept of enemy in the hyperconnected era. I’ll briefly reflect about perpetrators’ ordinariness and origin of dehumanization, in which are resumed my previous investigations, then I’ll turn to examine 1) the identity of the Tsarnaev brothers at the light of their social media postings 2) the way Michael Adebolajo tried to justify himself in front of the Tv camera and 3) the indisputable onlife story of Mohamed Lahouaijei-Bouhlel, who plowed a truck into pedestrians the Bastille Day in Nice. On a philosophical ground I’ll conclude that loneliness, deeply interwoven with ordinariness, is a main trait of the onlife frame of today’s cyber terrorism.